In most churches, the senior pastor has the most theological training and ministry experience. Most church boards, on the other hand, have little or none; and the same is true with many staff members. That often results in differing perspectives and dueling ideas about leading a church, which can quickly turn into irreconcilable differences. I have experienced this myself in every church I have been a part of and it is incredibly frustrating. For instance, when we first started PCC, I began this endeavor with many years of ministry experience under my belt while the people who I invited to serve on my senior leadership team (SLT) had little or none. The educational and experiential separation between me and them was a major source of misunderstanding and tension. We saw most things from different points of view. Although a few of the team members did possess leadership skills, it was all in the context of the secular workplace. That was the lens through which they saw everything. On the other hand, I was overdosed with information about the ministry. Along with my ministerial education, I continually read books on church leadership, attended conferences, and spent a great deal of time interacting with other pastors and learning from them. But with every book I read and every conference I attended, I became increasingly distanced from the members on my leadership team, creating an ever-widening gap between the way I viewed the church and they way they viewed it. Searching for some way to close the gap, I decided to expose our key leaders to the same insights and principles I was being exposed to. But instead of using the standard approach of Bible devotions and doctrinal themes, I zeroed in on practical theology; the kind of nuts-and-bolts stuff that actually makes a church work; not theory learned in a classroom, but real world stuff that you only learn by being in the trenches. Almost immediately, the gap in our perceptions of ministry began to close. Now that they were being TRAINED like pastors, many of our key leaders started to THINK like pastors. Even when we disagreed, we had an easier time understanding and appreciating the other’s viewpoint. Most important, we made better informed and wiser decisions. Using this approach over the years at PCC we have tackled a variety of subjects together; church growth, group dynamics, management styles, and the role of New Testament elders to name a few. We have talked about church government, staff roles, decision making processes, unhappy church members, what to do when people leave, church discipline, and how a church should be structured. We’ve read articles written by Rick Warren, listened to CDs by Bill Hybles, and reviewed books together. I have taken key leaders to conferences in Chicago and California so that they would be exposed to the same things I was being exposed to. Also, whenever I learned something new myself, I would summarize for the leadership team any significant insights. Training leaders like this makes a difference, a big one. It’s one of the most effective ways to build unity and increase efficiency in a church. To begin with, leadership training draws people together by providing everyone with a common vocabulary, making communication easier. It doesn’t matter that everyone agrees with the content of the training. Just going through the process together gives us a starting point from which to launch a discussion. It enables us to invest in words, terms, and situations with an agreed-upon meaning. That way, even when we disagree, we understand one another’s position well enough to intelligently discuss the subject. Secondly, a training program like this helps leaders to recognize the difference between churches and business organizations. Unlike businesses, churches are spiritually centered, educationally focused, and virtually run by volunteers. Also, churches have a radically different bottom line than businesses: relationships & family ties. While some leadership principles learned in the secular marketplace carry over, many do not. A training program helps everyone to understand the difference. If pastors need on-going training to keep up with the complexities of ministry work, then the rest of the leadership team does too. And if I, as pastor, fail to train leaders to lead, then who will do it? It’s no accident that Jesus spent the bulk of His ministry training a small group of (twelve) future leaders rather than investing in a large crowd. No doubt, He knew the future of the church, humanly speaking, depended upon the quality of its leadership. On a side note, I am always thrilled to see so many teenagers sitting on the front row on Sunday mornings. I am glad that a lot of teenagers attend PCC, but I’m also glad that so many of them actually serve in a ministry. The very fact that we are deliberate about making this happen confirms the fact that we practice what we preach. We value teenagers and will help them find a place of service in a ministry. Solid day at PCC. Attendance was a little off due to a holiday weekend, but for those of us who were there it was a meaningful church service. We received communion and it felt good. Giving was good too. It was back up in the range where we need it to be each week. Thanks to every one who made it happen. Next Sunday we’ll begin a new holiday series that will take us up to Christmas. In January we’ll be diving back into a message series through a book of the Bible. A new worship team (of singers) takes the stage next Sunday. At least two new voices have been added. Looking forward to it. GOOD QUOTE: Be careful how much advice you offer your friends; friendship can only take so much of that. Comments from Facebook about today’s service…..
Christa said, WOW!!! Is all that I can say about PCC today!!!! The presence of God was so strong today!! I got tears and chill bumps during the extended Communion song service!!!!! I love it so much I do it twice!!!!! Thank YOU!!! Cathy said, Great service & communion today. It's always good to be back in God's house after being out of town. Shelby said, Communion Sunday was great, as always! It makes me confident that Pastor Ron is an FSU fan! Beverly said, Had Communion Service today at Pace Community Church. Good to remember the center of our focus. So thankful for God's AMAZING Grace. Kim said, Church at PCC was absolutely amazing this morning. I got to feel the spirit of GOD this morning that is a treasured blessing. Mike said, Church was good. Ron reminds me of how relevant the bible, and its stories are to us today. Martha said, I'm very thankful for my church family. After not being able to make service last week due to getting back late from IV therapy, it was so good to be able to worship with the great people at PCC. Pastor Ron is a blessing. He makes it easy to understand even the hardest of subjects. Today was Communion Sunday and as usual, it was very meaningful and touching. Good way to start the week off! Richelle said, Communion......WOW! Words just won't do. The Amazing Spirit filled room was so what I needed today! So very Thankful. Mary said, Can I say AWESOME....PCC is the place to be. No pretending....just REAL!! Awesome worship this morning. Singers and band, you guys hit it out of the park again. Pastor Ron gave a great service helping us focus on Jesus and his sacrifice for us. Communion was awesome. God was definitely in the house today! Alyssa said, If you aren't worshipping God on Sundays, PCC is an awesome place to get started. You will never know how good it feels to be close to God until you get the chill bumps from feeling his presence. God's word is alive and well at PCC! Jewel said, I am always moved to tears when our PCC Worship Team sings praises to our Lord & Savior....my eyes brim with tears every time the Holy Word of God is preached...the Bible states that King David was a "man after God's own heart." My desire is to be "a woman after God's own heart." Sherri said, Great day to set our minds right for this Christmas season that is upon us. Thanks so much for all you and Renae do. Music was exceptional as well. I appreciate you so much. Sharon said, Today had a GREAT feel!!!!!! Robert said, It was a great communion service. I could feel the Holy Spirit was in the sanctuary, the Music was on the money. A good day for me, I was moved. We are firing on all eight cylinders in some areas of our church. Throughout the whole year of 2010 we have been retooling and restructuring one area at a time. This has resulted in a lot of improvement. On the other hand, as good as things are in our church, they are not so good in other areas. I’m taking a hard look hard at a few things and have determined that some stuff needs to be fixed. Our work is not done and more decisions have to be made. Sometimes, silence ceases to be a virtue. It looks like December is going to be a very busy month for us. Barbara S. and Sharon P. did an excellent job in hospitality today, filling in for Ron & Carole B. who were away for the weekend. Renae just finished putting up and decorating our Christmas tree. It looks real nice and has flooded our house with a feeling of Christmas. Now that the Thanksgiving (gluttony food fest) holiday is over, I’m getting back on a regular eating routine. I ate wisely today. Tomorrow morning I will start the day off with an hour of serious exercise and will eat wisely every day this week. Instead of gaining weight in the month of December, I intend to actually lose a couple of pounds and stay in shape. I think I am going to pull the trigger on a few decisions that I need to make. The singers did an excellent job today. They served for the month of November. Loved the communion service today. The idea of “remembrance” really got hold of me. I was very glad the teenagers stayed in service with us. It’s important that they participate in communion with the adults. Also glad to see four or five teenage boys helping the ushers serve the elements. It’s very important that teenagers get plugged in to big church and ministry roles. I’m also very glad that some of our teenagers serve in teaching roles. Amazing. At some point in the service today I said, “Can you say amen?” A lot of people responded as usual. But one teenage girl, who was sitting on the front row, got her timing all wrong and said “amen” when I was mid-sentence on something else. She giggled and then said, “I’m sorry.” I thought it was kind of cute. Can anybody tell me who she was? I’d like to encourage her to keep at it. The life changing effects of crack cocaine is seen here....(all these picture are of the same person and very dramatic). To get a full appreciation, click the picture for an enlarged view. 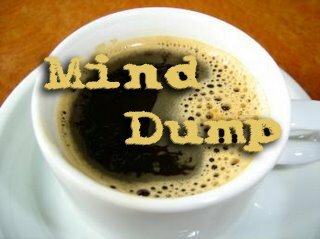 After such a successful day last Sunday (see Sunday Mind Dump) we should have seen it coming. We didn’t. Renae and I were slammed with a one-two punch on Monday that left us reeling and numb. Satan always reacts after we have spiritual victories, and I suppose this time was no different except to say it was worse than ever. We had two crises on our hands, both at the same time, that were so intense they shook us to the very foundation. We were worried sick and my gut was in knots. Then as suddenly it began, it was over. Incredible. We are very, very thankful people today. I don’t believe the junk that comes into our lives sometimes. We don’t invite it. We don’t deserve it. It just comes. So we cope and deal with it. Volunteers have come up today to help clean the building, etc, just like it was a Friday. I always enjoy seeing this group. We had breakfast together. We are going to have a short work day at the offices. After I knock off I’m going to make a last minute run to the store for some final ingredients I need for cooking. Jonathan & Jamie (my son and daughter in-law) are hosting thanksgiving dinner in their new home this year. This is their first time hosting a family event like this, but we are all looking forward to it. About ten of us will be there including my mother and sister and her family. We haven’t felt this good about a thanksgiving gathering in a long time. My father died about 6 ½ years ago and since his passing thanksgiving hasn’t felt the same. But now with Jonathan (his grandson) being married and in a new home hosting the event, it feels like the family circle or cycle is continuing as it should. My son Nathan has tickets to the FSU, Florida game this Saturday in Tallahassee. Sweet. Nathan is also about one semester from finishing school and getting his bachelors degree. We are very proud of him. Renae is going to spend part of the afternoon with a neighbor across the street baking together. Loving this time of year. Now that my head is above water I should be able to resume my regular blogging pace. ..... the last two days have been unbelievable. I think my head is now above water. Solid day. Attendance was well over 400 even with a number of families traveling for thanksgiving. The music was good today too. I enjoyed playing guitar and will be playing again next Sunday. We introduced a new song today recorded by Nicole Mullen, “Call on Jesus.” It was very enjoyable to do and both Renae and Beverly hit it out of the ball park on their solo parts! The rest of the singers did an exceptional job on their harmony parts too. The song kept rising and rising and then it just exploded with thunderous praise. Wade C. did an exceptional job on the drums today, filling in for Greg G. who was out of town. Cameron G. really stepped it up on the bass guitar too. He was louder than normal, very confident, and played his parts perfectly. I guess you could say he was rockin! I most appreciate Wade & Cameron’s sensitivity, knowing when to step out with their instruments and when to step back. This puts tension in the songs we play and lends itself for big moments. The message today was one of the most helpful I have shared in a long time – at least it was for sincere believers who really want to know how to please God and do the right thing when facing questionable activities. Robert also said, “It all really made sense today in Pastor Ron's sermon regarding" What is God's Will Concerning Questionable Activities"
I am very thankful that God’s Word is making this kind of penetration in people’s lives. After church we had a Potluck Thanksgiving Dinner on the grounds. It was a LOT of fun. Really enjoyed hanging with everyone. 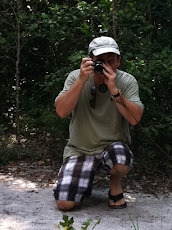 Also enjoyed getting better acquainted with some new people who have been attending with us for a couple of months now. The teenagers camped out Friday night. I’m glad to report than none came up missing. I am cooking a turkey this week. Next Sunday we are receiving Communion. After it gets dark today Renae and I are going over to our property to pour gasoline on the yellow jacket nest in the ground. Our office hours this week are Monday-through-Wednesday. We are taking Thursday and Friday off. We are going to cram a five days of work down into three. Plus, we have a funeral on the agenda. It’s going to be very busy for a few days. My truck is broke down. I had to drive my son’s vehicle to church this morning and then catch a ride home with Renae after service. Tomorrow morning I’m having it towed to the shop. Oh joy. I hope I can get it out in a day or two. I don’t want to be without transportation all week long…. especially during a holiday break. It’s been a busy week throughout the world…. Prince William got engaged; the Beatles finally made it to iTunes; Facebook is now going to be offering email, another movie came out about some kid named “Harry”… and BJ Penn knocked out Matt Huges in 21 seconds last night in the UFC. The world is starting to make sense again. Florida State plays University of Florida next Saturday. I think FSU is going to win. Just got this notification from Brian Y. on Facebook, “We had a great potluck and super sermon at church today. It left me thankful for the great cooks that attend PCC with and thankful that our pastor, Ron Christian, hasn't decided to give it all up and, "live in a van down by the river.’"
A man in our church was given $2000 in gift cards to Bass Pro Shop by one of his clients. He told his family, “We are going Christmas shopping at Bass Pro Shop.” So he divided the cards up among his family members and took them there today after church. Sweet. Tonight – Teen campout on the church campus. This Sunday’s Message – What is God’s Will Concerning Questionable Activities? 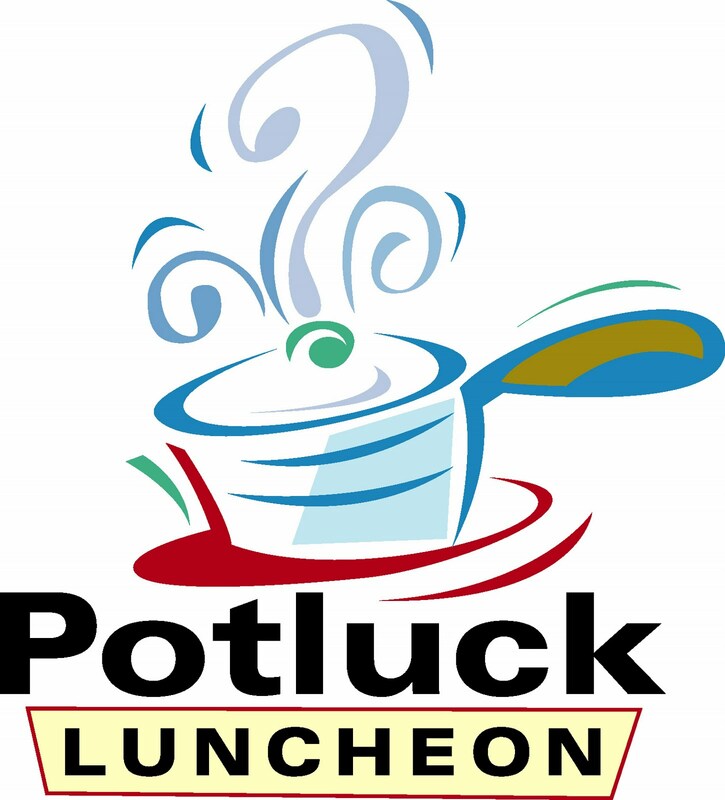 This Sunday – Potluck Thanksgiving Dinner after second service. Bring a dish. Bring an appetite. Get connected and make new friends. December 5th - 19th – New message series: Either “Stress-mas” or "Advent." December 11 – Nursing home Christmas party (Berryhill Manor). Sign up and join this ministry outreach. December 17 – Christmas Caroling. Sign up and go along. Lots of fun. December 18 – Cookie Exchange (for ladies) 2:00-4:00 PM at the church. 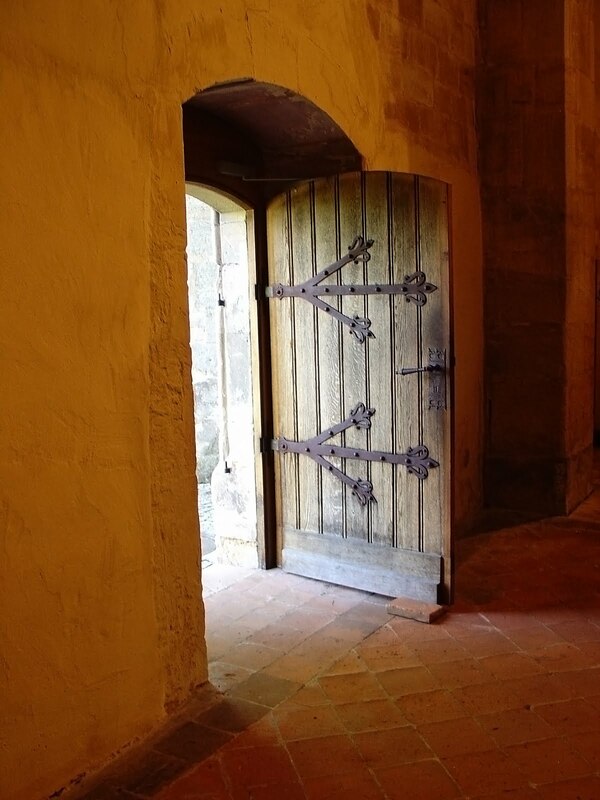 If the back door of a church is left wide open, it doesn’t matter how many people are coming in the front door – the church is not going to grow and disciples will not be made. Churches that can keep people are healthier than those who don’t. They not only draw in spiritual window-shoppers and lead them to Christ; they also lead them up to maturity. And that, after all, is what Jesus called us to do. He didn’t tell us to go into all the world and “sign people up.” He didn’t tell us to draw in big crowds. He told us to make disciples – a task that includes baptizing people and teaching them to obey everything He commanded. Frankly, that’s a task that takes a lot of time. 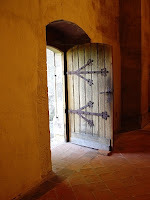 To pull it off properly, we need to close the back door to our church. Front door churches that fail to make disciples risk becoming merely a birthing center. You go pray for revival while I go fire some lazy staff. Don't be a fair leader, just do the right thing. Do you think God can be trusted? Or do you think you need to take things into your own hands? Your ministry is perfectly designed to achieve the results you are currently getting. The less you do, the more you accomplish. Only do what only you can do. Great day. Solid day. Attendance was a little lower (we were off about 25 people), but still had a pretty full house. The music and worship was excellent – very easy to “enter into.” Giving was solid too – something we are very much in need of as the year comes to an end. Today was the last Sunday that Leaf & Crystal Ballast will be with us. They are moving to Louisiana for a new position at Louisiana State University. Aside from being good friends, they have been an important asset to Pace Community Church. Our loss will be another church’s gain. NEXT SUNDAY’S MESSAGE: WHAT IS GOD’S WILL CONCERNING QUESTIONABLE ACTIVITIES? Some things in the Bible are not clearly spelled out. Right? We all know that. They fall into a “grey area” or as a “matter of conscience.” So what do we do in these instances? Fortunately, we are not without answers. God’s Word gives us principles for guidance in every situation. You will not want to miss this one! 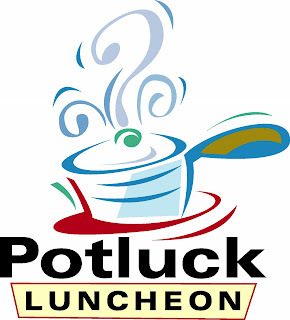 POTLUCK THANKSGIVING DINNER after second service next Sunday. Bring a covered dish and join us. This is a great way to meet new people and get acquainted with others just like yourself. We must be going OLD SCHOOL to have dinner on the grounds. Now all we need is a toe-tapping quartette to complete the picture. In case you don’t realize it, we have some people at Pace Community Church who know how to THROW DOWN in the KITCHEN! Trust me, they do. COMMUNION SERVICE - The Sunday after Thanksgiving. This will be a very special time together. You’ll not want to miss it. We are going to be receiving a SPECIAL END-OF-YEAR CHRISTMAS OFFERING in the month of December. This will fund two things: (1) Enable us to end the year in the black and (2) Underwrite our essential ministries for 2011. I’ll be sharing more about this soon. I will begin by mailing a letter to our entire church family in two weeks that spells it out. In the month of December, we will be moving the offering time to the END of service. A lot of new people have recently plugged in with us. I’m very glad to see this happening. If God is indeed sending these people to our church family they will be a great help to us. This is very encouraging to me because it lets me know that God has not given up on PCC. I look forward to getting to know these people better and making new friends. I am still working on and rewriting Seminar 101 (Discovering the PCC Family). This is no small task. When I originally wrote the seminar (14 years ago) it took me about nine months to complete. That should give you an idea of how labor-intensive this project is. It won’t take that long to rewrite because all the material is not being changed. BUT I CAN’T WAIT until it is finished and we can offer it again. I had no idea that this message series would resonate with so many people in the way it has. Only God can do this. As a pastor I just love it when I see so many happy, fulfilled family members. There are so many churches that are filled with so much junk (conflict, power struggles, backroom conversations, politics, disunity, etc) that make it a pure grief to belong to. But PCC is much different – for this I am very grateful. There is no better feeling than seeing a vision God has given becoming a reality. Since Renae and took our vacation in mid-October I have felt better about PCC and myself than I have in a very long time. A certain “balance” has come back to me. Three years ago we had our ten year hiccup. This event was filled with a lot of junk that occupied an inordinate amount of my attention and energy. Yet, in spite of that unpleasant experience our church continued to grow...but without any additional staff. As a result I became overwhelmed by being spread too thin and often felt like I was drowning. Since our vacation, however, I have had the energy to dive head first into some matters that need to be addressed. There is still a lot that needs to be done but the important thing is the fact that it is BEING done… one step at a time. I’m not going to get ahead of myself, nor will I allow anyone to push me too quickly. GOD IS IN THIS WORK so I am confident that our best days are ahead of us. Aside from recovering my personal energy and focus, the other thing that is most encouraging to me is the cadre of leaders who are stepping up. A lot of people have risen to the challenge in the last couple of years. This too is very encouraging to me. I’ve got my eye on a handful of people who (I think) might make a big difference in the future of our church. There is a great vibe at PCC. You can just feel it. There is a certain momentum that is building. I enjoyed sitting with the teenagers on the front row today during music time. We have a changing church because we are growing in maturity. But in other ways we should NEVER change. Specifically, we should never lose our willingness to see unchurched and irreligious people come to Christ. The MISSION of PCC is to MAKE DISCIPLES and it BEGINS with REACHING the LOST. I love seeing our church family being faithful to God in their FINANCES. As with any church finances are usually tight. There are ministries to fund, building maintenance issues that need to be addressed, administrative supplies that need to be purchased, and congregational care that needs to be provided. I am thankful that some people at PCC understand this and really step up. Can I say something? The volunteers at PCC make this church happen. Without you we would go under. Plain and simple. 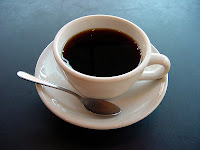 Our hospitality team makes some of the best coffee in town. I have been to the movie theater in a long time. Any recommendations on a good movie to watch? Thanksgiving is getting close. I’m going to eat a ton of food. Looking forward to cooking the turkey this year. I’ve got some ideas. I’m a pretting decent cook. Don’t believe me? Ask my wife. But still, she is a better cook than I am. I don’t know how to bake anything. She does. But I do a pretty good job of grilling, smoking, and kettle-type dishes. I can make some pretty mean buffalo wings too. I’m looking forward to the holidays. In fact, I’m already getting into “holiday mode.” It feels good. I think we’ll have company over for a few holiday parties. These are our Friday volunteers. This group comes each Friday to clean the building and bathrooms, vacuum the carpet, fold & stuff bulletins, clean the chairs in the sanctuary, put out cards & pens in the chair pockets, clean windows, blow sidewalks, and whatever else needs to be done. We also have breakfast together which is a lot of fun and provides for some pretty good fellowship too. (Click the pictures if you'd like to see an enlarged view). Have you ever asked yourself that question? This Sunday’s message at Pace Community Church will absolutely answer it for you once and for all! Or have you ever asked yourself questions like these? Should I take this new job and move to a new city? One of the most critical lessons for leaders at PCC to learn is that they are to replicate the DNA of our church. We have a specific mission that is the basis for everything we do. All of our key players are here to help us fulfill that mission. Our DNA must be embedded in every leader from top to bottom. This includes senior staff, ministry staff, ministry leaders, small group leaders, teachers, and workers. We want to lead Pace Community Church towards healthy growth and that can’t happen if everyone goes off and does whatever they want to do. On the other hand, a team of unified players all working towards the same goal will set this church on fire. That’s what I am looking for. In Seminar 101 we cover the DNA of Pace Community Church; our statements, strategy, and structure. These are the features that define us and make us unique. They are the driving force behind all that we do. We have a Biblical purpose statement, a God-honoring vision, and Biblically balanced doctrinal statement. Our strategy is Biblical and has proven to be very effective. Our structure is Biblical which provides for strong spiritual leadership. By staying true to our DNA over the years we have seen God build a healthy church that started from seven people in my living room. At PCC we have never allowed our vision to get hijacked or sidetracked. My role as senior pastor is not only to be the primary vision caster and teacher, I am also the guardian of the vision. If I’m not diligent about this, I will wake up one day and not even recognize the ministry that I have allowed to be created. Give me ten people who are sold out to the Greatest Commandment and the Great Commission and I’ll have a Dream Team that will change this church and have an impact on our community. Give me ten people who breathe and live our purpose statement as strongly as I do, and I will have a leadership team that will take us into the future. Give me ten people who know what the five purposes of the church are and are willing to champion at least one of those purposes, and I’ll know who my future senior staff members are. Give me ten people who ‘get it’ and we’ll do something together! It’s easier to lead people if you can pay and fire them (as in the secular work enviroment). It’s another game altogether if you can lead ‘volunteers’ to serve and sacrifice for the cause of Christ and the local church. Pastors and good church leaders do this daily. I think some seminars overvalue what business leaders can teach pastors & undervalue what pastors could teach business about leadership. Hire ministry leaders rather than ministry doers. There is never enough money to hire all the people needed to “do” ministry. There is simply too much to be done, and the temptation is to hire the person who is getting it done by themselves. A better choice is to hire a leader who can put together a team. 1. This Sunday’s message is – Taking the Mystery Out of God’s Will. It is the first part in a three part series. It is going to be VERY ENCOURAGING. If you are looking to be uplifted and encouraged, be there. In fact, if you know someone who is discouraged, bring them to church with you. It could be a life-changing day for them. By the way, they same yahoo who preached last week will be preaching again this week – but I hear he’s going to be a lot nicer. 2. TIME CHANGE takes place this Saturday Night – Set your clocks back one hour. 3. SEMINAR 101 OVERHAUL. Right now I am totally rewriting Seminar 101 – Discovering the PCC Family. I have been teaching this seminar for thirteen years and it has proven to be a very effective tool for our church. However, over time some of the material has become outdated. I am very excited about the way the new seminar coming together – the material is better than ever before and will do a much better job of emphasizing what our participants need to hear the most. BTW, Seminar 201 is slated to be rewritten too. When it’s all finished, we will be offering the new seminars on a regular baisis, and they will be taught by a team of teachers. Here's a picture of the new logo that we'll begin using for the seminar systems. Aside from looking good, it's more in alignment with our churchwide branding. 4. A NEW COLLEGE AGE GROUP is being formed (for ages 18-25) in the very near future. Mary & Buddy Sumner will be leading this group from their home. If you are interested in being involved in a group like this, send us an e-mail at Renae@PacecommunityChurch.com or call the church offices at 994-4310 , or turn in a blue card on Sunday morning indicating your interest. 5. I think we are on the verge of having an INFLUX of NEW PEOPLE to our church. I see new people all the time, but last Sunday there were more young adults in service with us than I’ve ever seen before. And the nursery was slammed in the first service as a result! As you can see our new puppy is really begining to grow. 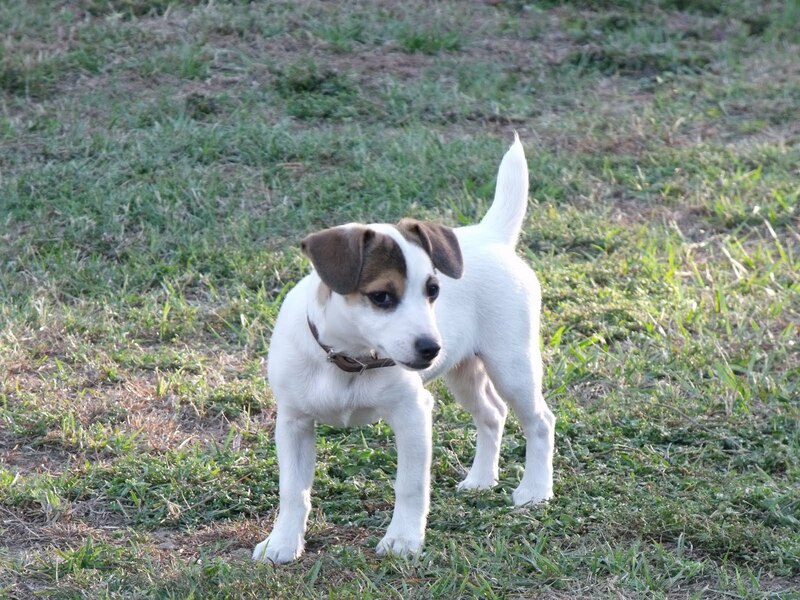 She is now four months old and is turning out to be a very beautiful dog. 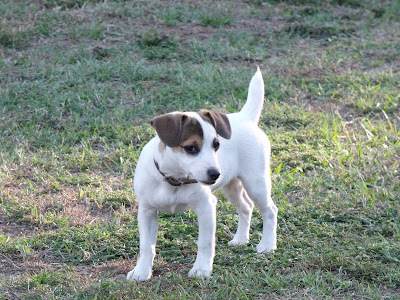 I think that Jack Russell Terrier's are some of the most attractive dogs to be found. Sadie has been a pure delight for us. As a pastor there are some letters you never want to write: a letter of resignation, the sad news of a moral failure, the embarrassing report of a deep financial crisis, the apology for a costly misjudgment, or the release of a well-loved staff member, to name a few. Those type of situations are painful for everyone. Every church and every pastor has to deal with these “bad news” situations at some point in their ministry. If you haven’t had to deal with them yet, you will. And when the come they are emotionally charged with potential landmines. If handled incorrectly, they can destroy a leader’s credibility. If allowed to spin out of control they can tear a leadership team apart and split a church. But if handled correctly, they can actually strengthen a leadership team as well as the church. It all depends on what we do, what we say, and how we say it in the heat and pressure of the moment. I’m not sure if anything is more disheartening than discovering a trusted spiritual leader has had a moral failure or has committed a series of other sins and remains unrepentant. The sense of betrayal that one feels stems from more than the sin itself; it also stems from all the lies, cover-ups, hypocrisy, and manipulation that accompanied it. You want to believe the best. But in almost every case, the deeper you dig, the uglier it gets. The first response is usually shock, followed by anger. It’s hard to imagine things getting much worse. But they often do, especially when it comes time to figure out how to respond and communicate what has happened. Most surprising is how quickly people will polarize into two separate camps. Whether it’s an elder board, deacon board, presbytery, board of directors, or an executive staff, most people will instinctively lean towards one of two responses: mercy or justice. Those in the mercy camp will want to keep the leader’s moral failure under wraps as much as possible, mitigate the circumstances, and provide a severance package and free counseling. In some instances they will even overlook the sin and let him continue in his role. Those who view the situation through the lens of justice will see things quite differently. They want to expose as much of the sin as is legally possible. They have very little tolerance for a severance package or anything else that feels like whitewashing the incident. They’ll quote Bible verses about teachers coming under stricter judgment and publically disciplining leaders so that all who see will fear. NOW HERE IS THE REALLY BAD NEWS: Under the intense pressure of making a decision and how to respond, most leaders (as well as the people in the church) will quickly adopt one position or the other, and they won’t change their mind no matter how late into the night the meeting goes. And once a decision has been reached, it will almost always be unsatisfactory to one side or the other. I remember a very bad meeting. A key leader in our church had to be removed because of certain grevious violations. I called together all our staff, key lay leaders, and board members (about 15-18 people I think). As I informed them of the situation and the circumstances surrounding the incident with all the sordid details, everyone began to split into the two predictable camps. Unfortunately, we had to decide something that night. It wasn’t as if we could table the matter for a season of prayer and fasting and come back next month to address the issue. The clock was ticking. As the meeting progressed, there were more raised voices, angry accusations, and hurtful comments than in any previous meeting we’d ever had. Some were openly crying when they learned of the depth of the betrayal. Others sat there silently staring into space. Bewilderment and disbelief filled the room. I can safely say that all of us were stunned and in a state of shock that night. It was incredible. At one point, it dawned on me that our church would likely lose some of the people in the room no matter which side won. It was a nightmare. As I watched it unfold, I became profoundly angry at the man who caused this to happen. His actions had not only compromised his own ministry; now it was tearing apart our team and ministry as well. I was reminded of an important lesson that night. You have to decide ahead of time how you are going to respond when church discipline needs to be exercised. In the heat of the moment, no one thinks straight. No one compromises either. Fortunately for us we already had a mechanism in place that helped us navigate our way through this emotionally charged situation. I was able to plainly say, “This is what the Bible says… and this is what our staff guidelines say.” That helped us to take a clear stance, make an informed decision, and formulate a response plan. It kept a very bad situation from spiraling out of control and getting much worse. In the end, it was handled correctly and our church was actually strengthened through the ordeal. Even so, not everyone was pleased with the outcome. As to whether we should err on the mercy side, the justice side, or somewhere in the middle, it’s a call that has to be made when a decision is required. The key is to decide beforehand so that you don’t have a long, drawn out fight later. When it comes to money matters, a lot of church leadership teams fly blind. Expenditures are carefully scrutinized, but where the money comes from to pay for these expenditures is anybody’s guess. Budgets are set by simply tacking an arbitrary percentage on to last year’s numbers. Key donors are unknown and unappreciated. All the while, other ministry organizations (such as Bible colleges, seminaries, and missionaries) and other non-profits (such as public schools, fire departments, police departments, etc) play by a different set of rules. It’s as if the church is supposed to play with one hand tied behind its back. The results are tight budgets, crimped ministry, and a demoralized congregation and staff. It’s hard to have a great ministry when the margins are so tight that there is no wiggle room and income projections are based upon assumptions rather than actual facts. Here are a few things I have learned over the years about money matters in the church, how to plan for the future, and responding to those whose generosity make it all possible. Some churches believe that good stewardship means that they should spend every dime that comes in. If extra money comes in, they seem to feel guilty about having extra. So they quickly find a special project to spend it on or quickly give it away to the mission field or the needy. It sounds noble. But nothing guarantees a perpetual cash crisis like the absence of a margin in the budget and no cash reserves in a savings account. When churches fail to build margin into the budget and lack the discipline to store up some savings, it practically guarantees that they will have some sort of financial crisis every year and a long history of missed opportunities. Yes, Pace Community Church has a savings account and cash reserve. This gives us margin for the ebbs and flows of seasonal giving trends. It also gives us something to fall back on in the event of significant damage to our church, such as fire, theft, or maintenance related issues. It’s just good stewardship to save. Churches can be goofy. We’re the only organization in the world that prides itself on making sure that our leaders have no idea where the money comes from. Imagine a business attempting to plan and forecast without knowing who its key customers are, what they buy, or how much they spend. Or imagine a missionary who has no idea who his supporters are. Or how about a college that has no idea who its donors are? Yet that is exactly how a lot of churches function. Pace Community Church used to be one of them. I myself was a card-carrying member of the “I don’t know who gives what” club. And I was quite proud of it. I changed my mind about this a few years ago for many reasons. It’s dumb to fly blind. Knowing where the money comes from plays an important role in helping us plan for the future. For instance, when the economy or personal setback negatively impacts a key donor (or when one moves away), it obviously has a major impact on our budget. Yet churches that fly blind in terms of where the money comes from have no way of knowing this until the budget starts to resemble a sinkhole. I recently talked to a pastor who was concerned about a sudden downturn in the weekly offerings. He was in a panic and wondered what it meant. Were a lot of people upset? Was it something spiritual? Did he need to preach a sermon series on stewardship? This pastor had no idea who his largest donors were. He had no idea if the drop in weekly offerings was the result of people who had recently moved, or suddenly stopped attending, or had lost a job. It’s one thing if a church has lost a key donor, and it’s another thing if the drop is the result of a churchwide belt-tightening. It would do no good to appeal to the congregation for more if the real problem was that the Jones family had moved to North Dakota. Knowing where the money comes form enables us to make plans for the future based upon facts, not (panicky) assumptions. Another value of knowing who gives and who does not give is that it smokes out board members, staff members, leaders, and church members who pretend they are committed to this ministry, when if fact they are not. I can’t tell you the number of times over the years that I discovered some of my biggest problem-people were those had given ZERO to this ministry, sometimes for years! These chronic complainers were the most vocal about things they didn’t like, yet contributed nothing. Then there are those demanding church members who need constant attention and perpetual hand-holding, yet do not contribute so much as a buffalo nickel to this ministry. They want to hog up all my time and lay claim to all the pastoral services provided by our church, yet do nothing to help sustain it. Knowing where the money comes from exposes these pretenders. People can say they are committed to our church, but if they are not contributing to it then their heart is not in it. Jesus said, “Where your treasure is there you heart will be also.” In other words, our hearts and wallets are connected. If people really love this church they will give to it. I have had more than a few difficult one-on-one conversations with people in our church about this matter. I even asked for the resignation of a board member over this matter once. It’s that important. When challenged, such people usually move on to another church where they can hide behind a carefully constructed (but blatantly false) image of spiritual maturity and commitment to the church. I’ve learned that it is important to thank donors for their contributions too. Heaven knows, every other Christian organization is thanking them. I’m not talking about rolling out the red carpet when someone shows up in a hot car with lots of bling. I’m not talking about giving contributors a free pass on church discipline either. But what’s wrong with saying thank you when a special gift is given that makes a significant difference in PCC’s ministry? What’s wrong with thanking a first-time giver to PCC? What’s wrong with acknowledging the regular consistent giving of faithful church members that makes our ministry possible? Nothing. I’m not sure how we have come to rationalize our inconsistency in showing appreciation to donors. We don’t have a problem showing appreciation to others in the church for doing good things. We’ll tell the Sunday School teacher what a great job she did. We will compliment the singers and musicians. We seem to have no problem giving special thanks to an exceptional volunteer. In fact, we have even had banquets to thank such folks. Even the pastor receives compliments and thank-yous for the sermons he preaches. So, why shouldn’t we thank donors? I realize that thanking donors can go overboard. But then again, so can a lot of things. Too much ice cream will make you fat. But that doesn’t mean we throw away the key to the church kitchen. Does it? I’ve heard all the reasons why pastors and church leaders should not know who gives and should not do anything special to thank key donors. Remember, I was once a card carrying member of the “I don’t know who gives what” club and championed the cause, fearful of the pitfalls of favoritism and manipulation. So for years, we did nothing other than send out an annual stewardship statement that reflected how much someone had given for the year. It was more of an accounting issue than a thank you. But eventually I came to the conclusion that donors to our church should be thanked just like everyone else who helps our church accomplish its mission. And I need to be the primary person who is involved in thanking these people. I haven’t done a very good job of this in the past, but plan to do better beginning now. If I can be trusted with the deepest and darkest secrets of our people in counseling, I can probably handle knowing something about their finances. And if I can’t handle either one, then Pace Community Church needs to get a new pastor who is spiritually mature enough to know a secret or two.